Welcome to Made Social MINI – a pint-sized version of our modern craft workshops with all the creativity, craftiness and fun. 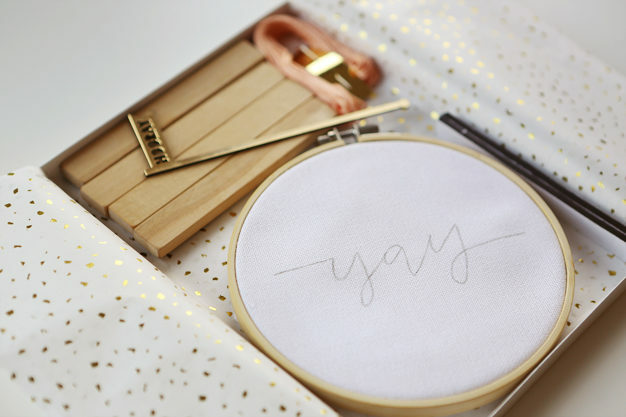 (Just add confetti!) 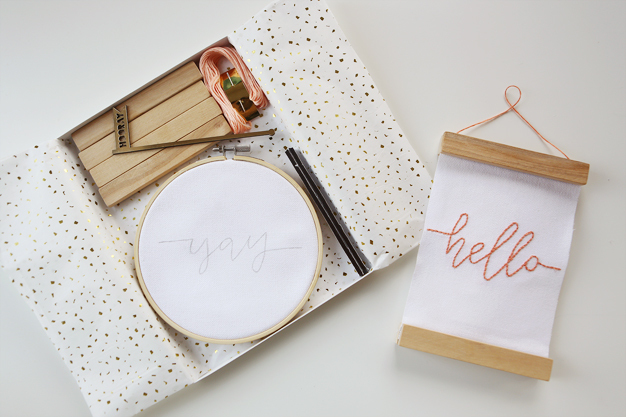 Just in time for the holidays, our first limited edition craft kit includes everything you need to create your very own mini embroidered banner. 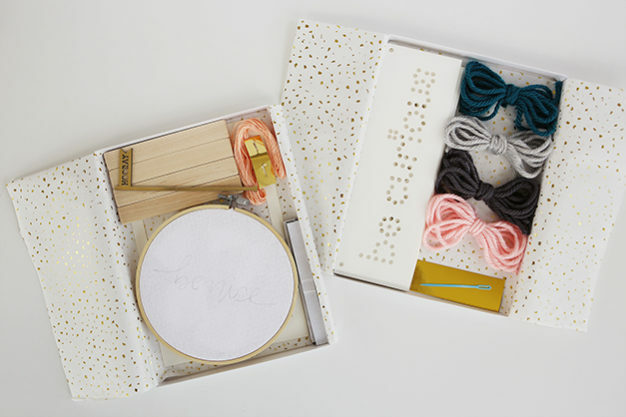 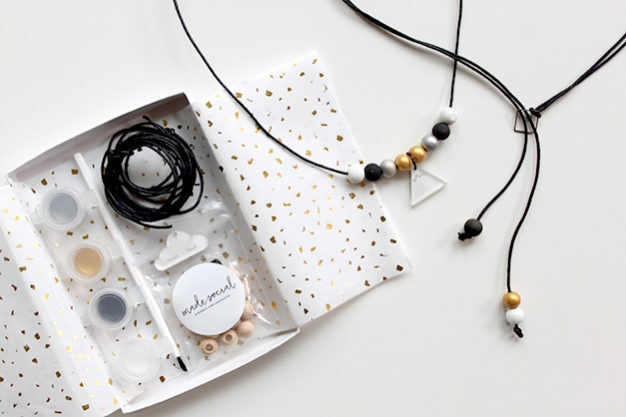 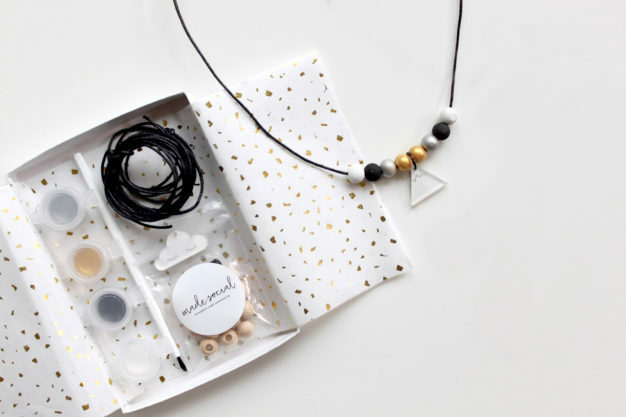 The perfect gift (no craft skills required!) 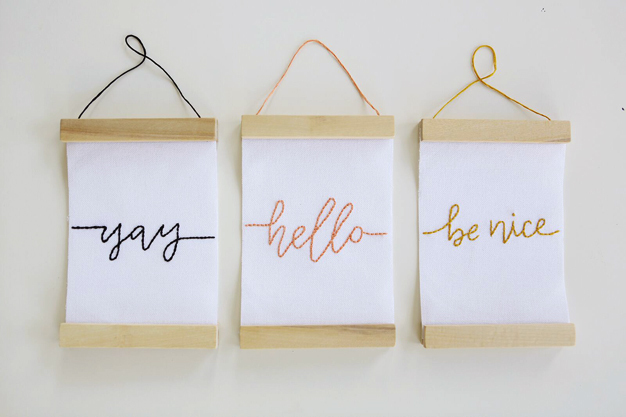 or treat to yourself, this project includes custom hand lettering by Justine Ma and wood from local home goods and furniture makers Forge & Fell. 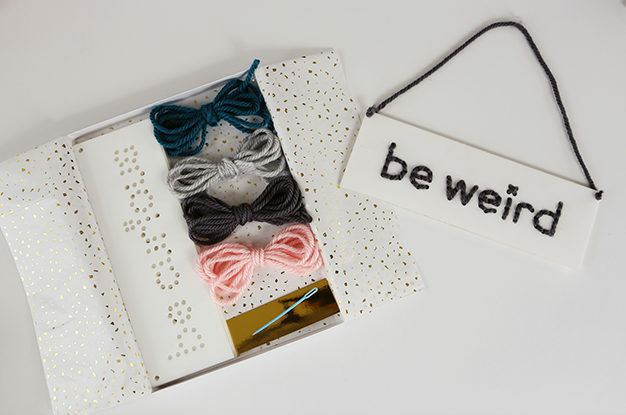 Grab some friends and bubbly drinks or cozy up with a solo cup of tea and let’s get crafty! 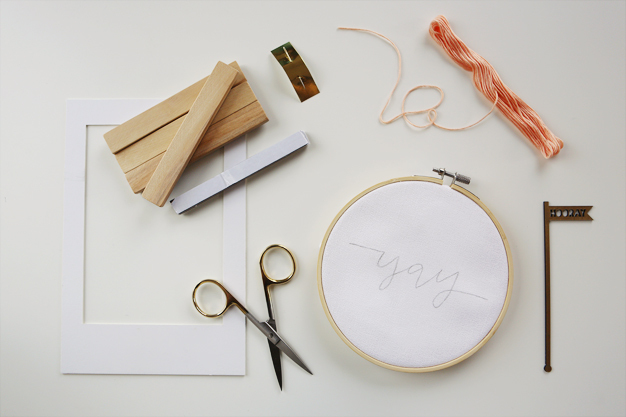 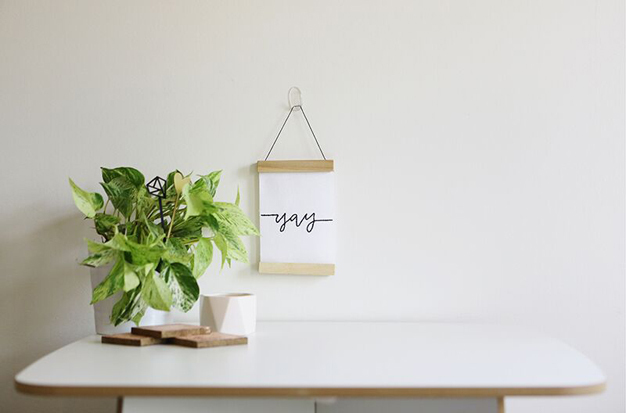 The $45 price includes everything you need to create your own custom wall hanging: Justine Ma designed template (your choice of yay, hello or be nice) in a wooden embroidery hoop, embroidery thread, needle, wooden frame pieces, magnetic strips, 5×7 trim guide and gold hooray drink stirrer to get your party started!